When we first approached the band about this classic album, our first question was: why does the recording is so flat on the vinyl? Kawabata promptly explained: “I remember we were very disappointed when we first listened to this double LP back then. The American mastering engineer, who works for many famous companies in LA said that it was impossible to master it for the vinyl format because the sounds were too heavy… When I and Tsuyama listened to our master last night (for the first time in nearly 10 years!) we were blown away and totally surprised! The music is really good, much better than we remembered and imagined.”. We couldn’t agree more. The original master sounds like a completely different recording and perfectly captured the cosmic and incredibly powerful sounds emanated by the band at the time. Listening to a classic early version of “Pink Lady Lemonade”, weird free jazz jams like “Rising From the Cool Fool Inferno” or the obscure super heavy, doomy and haunting sounds of “Blue Velvet Blues” is something that we thought should be fully experienced and appreciated the way it was meant to be. Recorded during many live dates in 1999, Live In Occident is the first AMT live album and features the classic freak out emsemble with Kawabata Makoto, Cotton Casino, Higashi Hiroshi, Tsuyama Atsushi and Koizumi Hajime crossing the US, France and the UK. 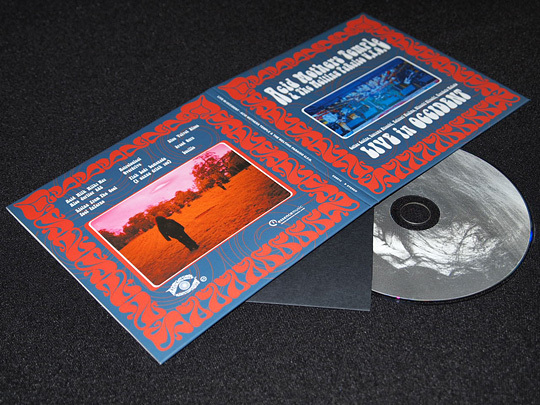 Limited to 500 copies and housed in our deluxe, custom miniature LP gatefold packaging. Photos by Audrey Ginestet and Carl Marc S..